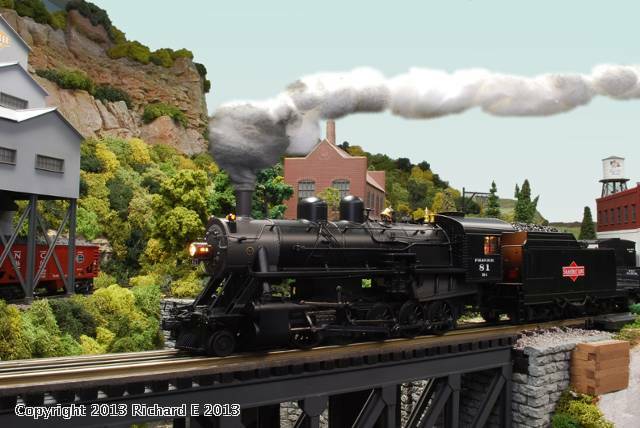 (Guest) J&C Studios O Gauge Archive Photo Poll: Nov. 2018 Shawmut coal train. A Shawmut Russian Decapod Heading to Kessler No. 2 with a train of empty hoppers. The will pick full loads and head north to Hornell NY. I wish more people would post photos. I love seeing other people's work. I find it inspiring. I was unable to access J.C.Studios web page and thought it had bend discontinued.